I know that life lessons can be found in some very odd places (for example, my back yard, where I learned that you shouldn't burn an entire dried out Christmas tree at once because your neighbors will think you own a flamethrower and get extremely nervous), but I was still surprised when I learned a major life lesson about worship music at Burger King. 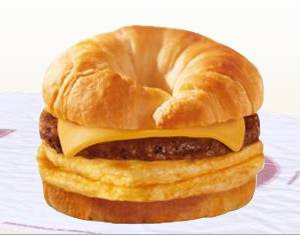 Let me start by saying I love Burger King, especially for breakfast. I literally got hungry typing that sentence. If you are a Burger King manager reading this, I will quickly change the following opinion with a simple bribe of lifetime sausage, egg, and cheese Croissan'wiches. But there is something I have noticed about Burger King restaurants that I haven't seen from most other places; it seems like you'll go to the best Burger King ever, with awesome food and service and a great dining area, and then drive like a mile down the road and find the worst Burger King ever. The food isn't hot, everything moves in slow motion, and there is toilet paper on the floor. Here is what it made me realize: I want people to be able to trust that when they walk into Next Level Church, the music is going to be awesome- every time. And by awesome I mean something that not only rocks and is played technically well, but something that helps connect people to God, no matter where they are. As we prepare to open a new campus, I want people to be able to go to Next Level Church, no matter where it's located, in Matthews or Blakeney or anywhere else, and know they are going to get something really really good. I want to be Starbucks, not Burger King. That's part of why I am so excited for the Blakeney campus- I feel like the worship music there is going to be awesome. I really do. The way we are designing the worship experience is for it to be just like what we do so well at Matthews. You can go to Next Level Church with confidence. It's gonna be the real deal. No hair in the cheeseburgers, no toilet paper on the floors.